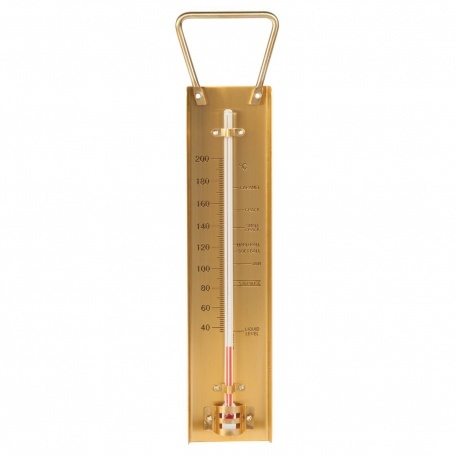 Sugar & Jam thermometer in traditional brass casing with copper handle. Indicates temperature over the range of 40 to 200 °C in 2 °C divisions. 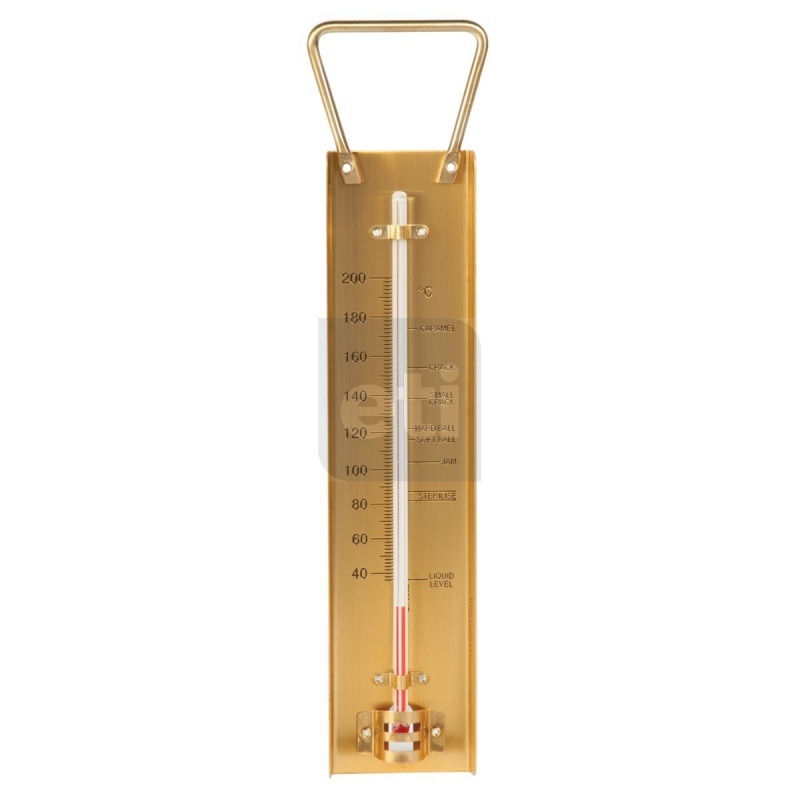 The thermometer's brass casing measures 47 x 200mm plus a 40mm copper handle. The thermometer's scale is clearly marked for caramel, crack, hard ball, soft ball, jam & sterilise.